The Stellar Network is a pragmatic blockchain platform that is aimed to be the bridge that exists between the exactly opposite worlds of traditional, centralized financial organizations and decentralized cryptocurrency. 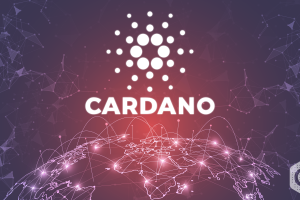 It is ideal for its unique Consensus Protocol. These interfaces of XLM is an absolutely new thing in the blockchain ecosystem, so the fat traditional sense is concerned. 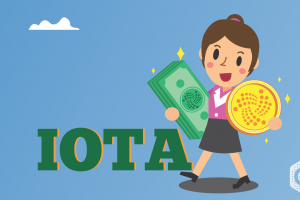 It is focused to integrate distributed ledger technology into the existing financial infrastructure. XLM is currently getting traded at USD 0.102231 (UTC time 05:48). 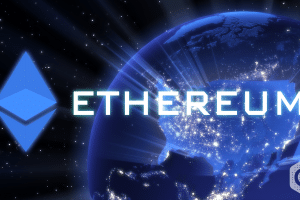 Based on its market cap, it is the 9th largest cryptocurrency with a circulating supply of 19,226,125,192 XLM. 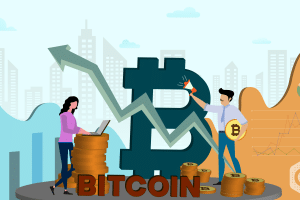 Its current market cap has a trading value of $1,965,497,738 USD. On the basis of the chart, the current value of XLM is 0.102266 USD or 0.00002584 BTC (UTC time 05:56). Its current market cap is getting traded at 1,966,177,896 USD with 201,594,376 USD as its 24h volume. The same chart shows that approx. One month earlier, XLM had a trading value of 0.085078 USD. So, in this approx. One month period, the value of XLM has been increased by 20.20% with 0.089704 USD as a good support resistance. According to Long Forecast, XLM can reach to $0.30 by the end of 2019, and this is a very conservative and pessimist forecast. Mega Crypto assumes that XLM can be worth of $5.10 by the end of 2019. The developers of XLM have claimed in this regard that XLM can reach this trading point until there are no major security flaws in the stellar network. 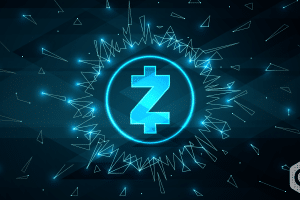 Monetize Info has predicted that XLM ought to reach $2-$ three by the end of 2019. Many analysts think that XLM can trade around $5 in 2023 and it can be one of the best performing cryptocurrencies in the upcoming days. 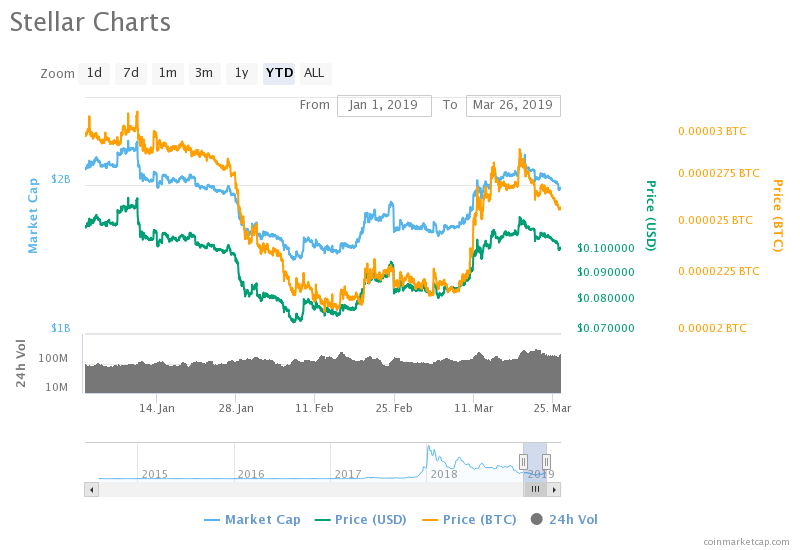 As the current crypto market is remarkably volatile, XLM’s price can even deter than its current value, and if the volatility persists long, then, it can even trade as low as $1 in five years. XLM’s community need to be expanded to attend highs. But, due to the intensive volatility, its price is susceptible to go down in the upcoming days. 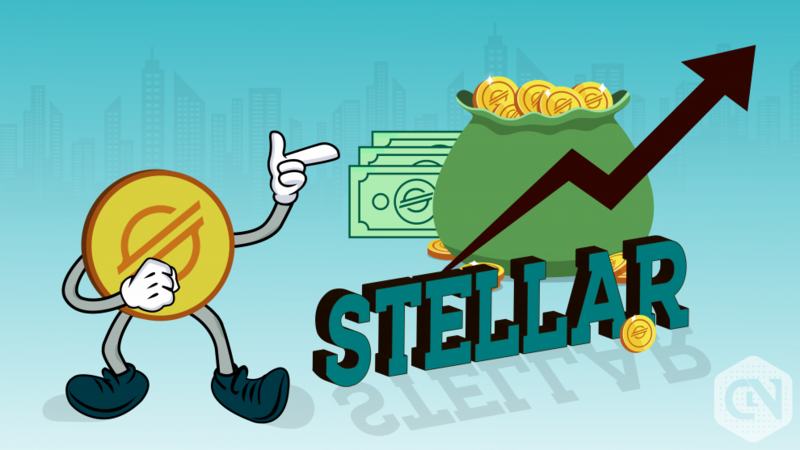 No doubt that XLM is one of the favorable cryptos to many traders and merchants but, the developers of Stellar network need to focus more on its development so that it can have more investors in the upcoming days. Considering all the analysis and predictions, it’s better for the investors to wait for more till the volatility subsides and XLM regains its value. 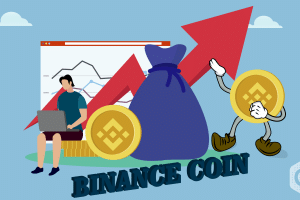 Binance Coin (BNB) Price Prediction: Will Launch of Binance Chain Result in a New All-Time High for BNB?